A recent query on the Old School Gamers Facebook group regarding some portable dry erase options (though the person who started the thread was looking for a fold-up variant) had me casting about for some ideas and I thought I would share my findings here. I am only including gridded otions that can be found with 1" x 1" grids, though there are tons of others without grids out there as well. I'll start with the most expensive and, in my own opinion, least likely options then move toward those with lower pricing and more utility. 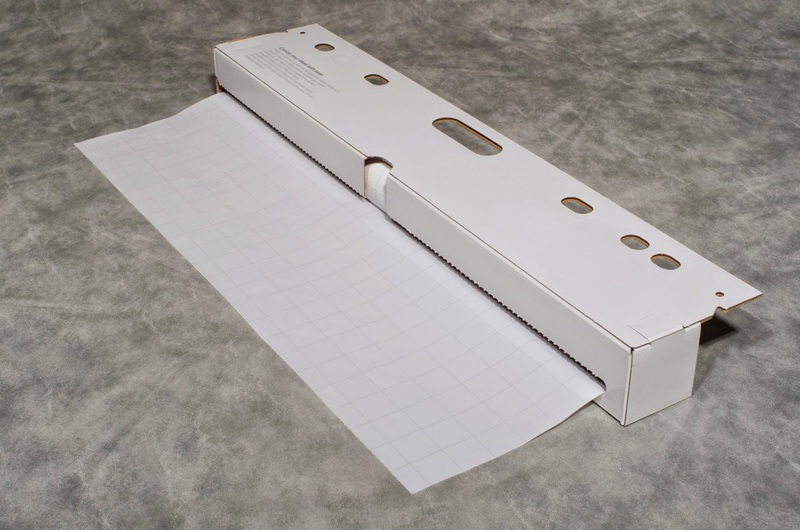 Over on mywhiteboards.com, there is a $100 option, currently marked down from $130 but shipping will be added, called "Dry Erase Grid Magnet from OptiMA Inc." which is a 30" x 42" dry erase grid in various pattern sizes including 1" x 1" and others. Note that this option is magnetic, which won't matter much if used flat on a wooden table. The magnetism might be problematic in other situations. Check this one out in more detail here. Next up, over on Amazon as quite a few of these options tend to be, is "Magic Whiteboard Products Gridded Magic Whiteboard (MW2125)" for $66 with free shipping. This option states that "Each sheet can be put up and taken down up to 20-30 times" and "Dry erase markers will erase shortly after being written on the sheet, but will become more permanent over time to help save your work." So, this option seems problematic in a number of ways and I wouldn't invest in it as a gamer but some folks might like the 65 foot length that tears off into 23.5" x 31.5" sheets. Take a closer look here. Furthermore, also on Amazon, there is an option that might not be to everyone's liking but is also a novel solution not without precedent. Folks might be familiar with Tact-Tiles, interlocking one-foot square tiles that can by drawn upon then moved and erased and redrawn with further dungeon or other terrain as exploration goes father afield. To that end, I found "OptiMA Lap Board with Grid 9x12 Student Dry Erase Boards (15 Pack)." With one inch grids on one side and three quarter inch grids on the other, these could be used in a similar manner as the Tact-Tiles for a cost of &60 plus shipping, though there would be slight gaps because of the borders around the grids. I suppose the boards might be trimmed down to remove the borders if you are a fair hand with a circular saw or have access to a more precise laser cutter. See this option here. 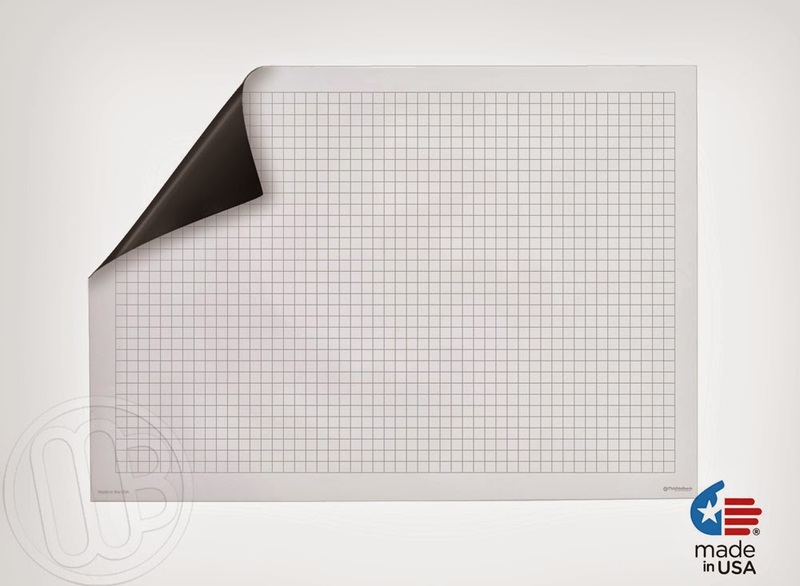 Additionally, over on educatorsoutlet.com, you can get four one-foot square gridded whiteboard sheets for $12.49 plus shipping. Called "Dry Erase Static Cling Coordinate Grid," you could get three of these sets and have a 36" x 48" playing area that would also allow for the one-foot square pieces to be moved about as exploration continues. I might suggest mounting them on foamboard squares and maybe even adding some way for the foamboards to be interlocking to keep them from moving away from one another. Learn more of these here. Another option is straight up geared toward gamers and also on Amazon called "Battle Grid Game Mat, Dry Erase, White, 24" X 36" with 3 Markers and Eraser: Double-Sided, 1" squares, for role playing games and miniatures." I'm not overly enamored with this option and am also sure that similar laminated sheets of gridded one-inch sheets can be had for a better price at "teachers' stores" and perhaps also office stores. You'll need to see if such things are available locally to you. Anyway, the long name says it all, so see more here. Joe Bardales also reminded me of one I saw Mark "Buzz" Delsing carrying with him at a gameday some time back called "The Noteboard Ltd. Noteboard Pocket-Size Dry Erase-Board (NB35X15)." I like the extreme portability of this one but the (admittedly slight) gaps between the panels kept me from finally making the purchase. Great deal at $12 with free shipping and includes a bag for it and a dry erase marker. Get one on Amazon here. So, there you have it. 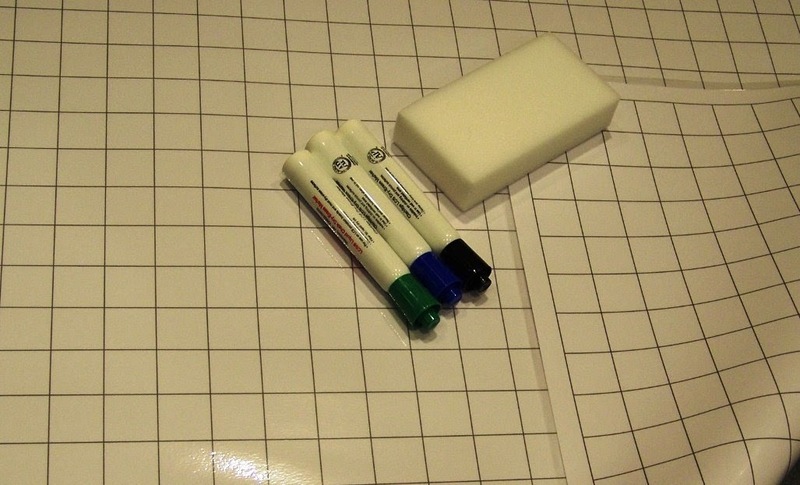 A nice variety of options that might be a good dry erase solution for the game table, for those who want to avoid grease pencils or wet erase types of playing mats.